The Onondaga County Department of Social Services (DSS) in Syracuse, N.Y., has transitioned from a paper-based system to a digital workflow. The system relies on 800 desktop scanners from Rochester, N.Y.-based Kodak Alaris. Through the process, the agency is close to reaching its goal of shuttering its document warehouse. Storing tens of thousands of documents on two floors of a warehouse was expensive, and retrieving files was difficult and time-consuming. So the department created a browser-based digital workflow, scanning thousands of documents each day using KODAK ScanMate i1150 Scanners. Images are now electronically indexed and filed in a digital repository. The scanner’s user-friendly interface also makes training simple. New employees can typically master the indexing and scanning process in less than two hours, according to the company. The ScanMates are also reliable. “We’ve been scanning for five or six years and only had four repair calls,” says Hughes. Having conquered the daily deluge of documents, Hughes is now turning his attention to the backlog of paper documents still sitting in the warehouse. “We’re pulling stored documents so we can scan them all,” he says. 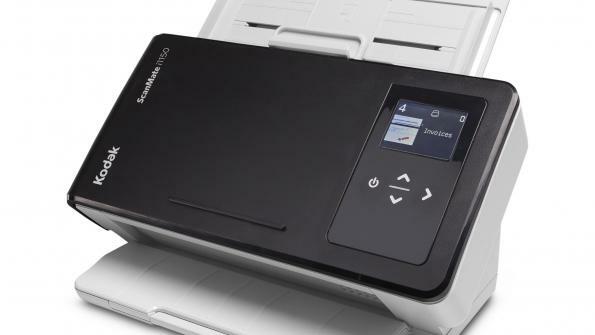 “Eventually we can close the warehouse, and we won’t have to pay to store any paper documents.” At that point, the successful transition to a digital workflow, powered by the scanners, will have come full circle. Click here to learn more about Kodak Alaris.